I haven't been on winter vacation for three years, and even forgot how it feels like to go on short summer breaks. I am paid and used for empowering teachers in our country and like me there are forty others spread across the country to leave no teacher behind on this aggressive computer literacy project. We don't have Sundays in our weeks nor do we have any national holidays once we begin but after every ten days our trainees change. I had the privilege of training over 200 teachers in four Dzongkhags giving me 200 reasons more to smile in life. 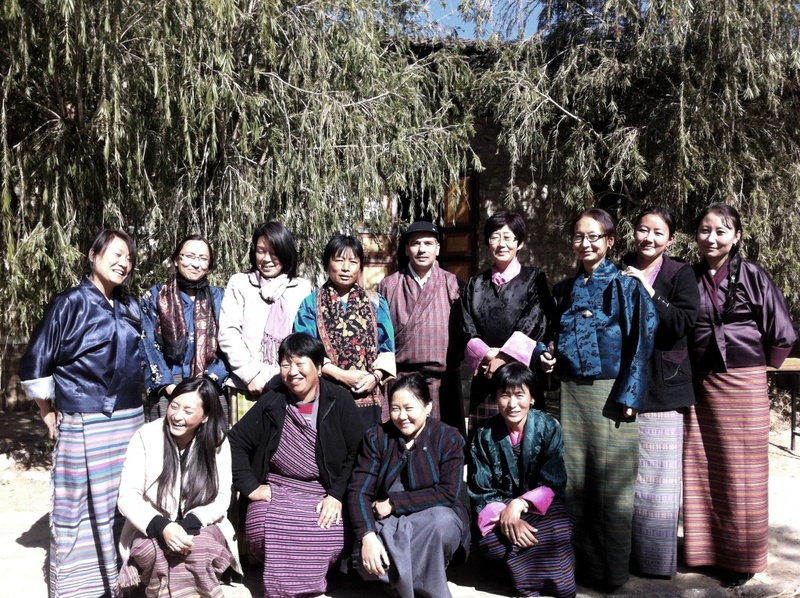 If you are a teacher in Bhutan you already know what this project is all about and how important it is for your career regardless of your participation yet but not many of us realized that the program is much more than just a compulsory certifying course. Most are coming because they learnt that the certificate from this training is going to be a mandatory document while applying for promotion or scholarship. I have seen many teachers walking into my class with what-the-heck look on the first morning and on the last day the same people shake my hand so hard with gratitude and I could assume what's on their mind: I didn't know this was going to be such a life changing ten days. Teachers learn to draw diagrams in Microsoft Paint, and this also help beginners gain Mouse balance. They learn to setup question paper in Microsoft Word- Multiple choice, Filling Blanks, Matching, Labeling diagram and True or False. They also learn to plan their lesson in Word. They learn how to prepare lessons using PowerPoint Presentation. Animation amazes lot of them. They learn how to store student's marks in Microsoft Excel and prepare mark sheet there. All necessary formulas and functions are taught and practiced until perfected. Many teachers cannot believe that it could be so easy, quick and accurate. Then we take them on ride on internet. Google for anything and everything they ever want and mostly for downloading diagrams and pictures they would require for their presentation, question papers or regular lessons. Wikipedia for information resources. YouTube for video resources. Email for communication- everybody leaves the training with email address. And for advance users we teach them blogging, in short- they are shown the power of Web 2.0 tools. This make it very hard for us to drive them home after 5. What more a teacher wants? In these ten days teachers are given enough time to practice daily and two days are dedicated for their assignments alone. By the end of the program nobody talks about the certificate they came for because they have too many new things in their head to wonder about. And for me repeating things over and over ceased to be boring, in fact I enjoy amazing people, I love the screams of excitement when teachers accomplish something. I have made wonderful friends and learnt values beyond holidays- I am living a meaningful life without Sunday, I am on a mission to empower teachers! Commendable job, sir! Keep up the good work! Really appreciated la.It will no doubt help them a great deal. You deliver so well and leaves a mark in anyone that come across you. People do talk so well of you. Enjoyed your company the past 22 days or so...... keep up the spirit.... keep writing. Cheers. it is helpful!!! u guys r doing great job!!! keep it up! !u r preparing our teachers to handle 21st century classroom!!! sir, your blog is inspirational, even your design of the page. in this regard i m curious to know about how to link with google translator not only to blogs but also for new designed webpages. actually i m passionate learner of computers. it will be very generous of you to feed my curiosity with your vast knowledge.